Your local dumpster rental solution! We’re a family operated and locally owned roll-off dumpster provider based in Grand Rapids and serving most of West Michigan. Being an owner-operated company, we’re able to offer personalized service to ensure each customer is satisfied with the rental process from start to finish. 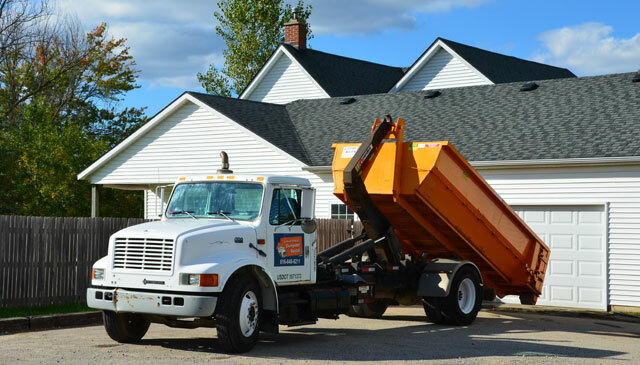 Founded by Tom LaBotz, Grand Rapids Dumpster Rental has grown as a company over the years but is still dedicated to keeping that “small-town feel” you get with a local small business. In fact, Tom answers phone calls to this day. Call and speak with Tom at (616) 827-7121 to rent an affordable roll-off today! When it comes to outstanding customer service and fair pricing, Grand Rapids Dumpster Rental can’t be beat! Our team is committed to providing the best service in town, and you’ll always get affordable, hassle-free pricing when renting with us. We carry 10, 15 and 20 cubic yard bins. We’ll help you choose the right container(s) for the job, and we’ll get them on-site as fast as the same day! Our dedication to prompt delivery/pickup and our ability to meet the unique needs of our clients sets us apart from the rest. 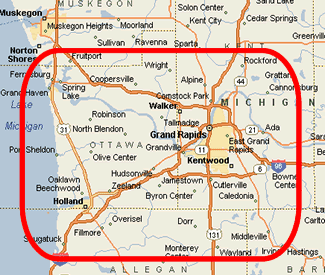 At Grand Rapids Dumpster Rental, we serve most of West Michigan, including Grand Rapids, Kentwood, Walker, and Wyoming. We also provide service to the Lakeshore, including Holland; north to Rockford and Sparta; east to Ada; and south to Middleville and Wayland. 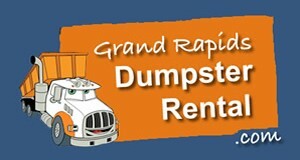 Expect timely delivery and pickup when renting with Grand Rapids Dumpster Rental, no matter where you’re located. We understand the importance of timeliness when undertaking a project ranging from a construction job to a household cleanup. We provide same-or-next-day delivery on all of our rentals. If you need the dumpster at a later date, we can accommodate that request too. Contact us for all the details. 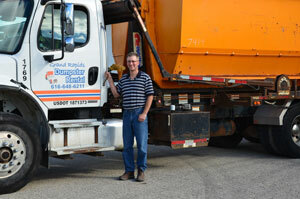 Locally-owned-and-operated, we’re able to offer personalized service – you’re not just a number at GR Dumpster Rental! Honest pricing that is affordable with no hidden fees. Prompt delivery and pickups – same or next day service available. Our dumpsters are clean and well-kept. Our owner, staff and drivers are courteous. We’ll listen to your disposal needs and meet them as best we can. 10, 15 and 20 cubic yard bins are ideal for residential and commercial cleanups. Thank you for visiting the Grand Rapids Dumpster Rental website, and we look forward to meeting your bulk waste disposal needs!